Back when the software was still under the domain of JASC, it was simply called PaintShop Pro. After Corel purchased the rights to the program, it wasn’t long before a little bit of rebranding took place. 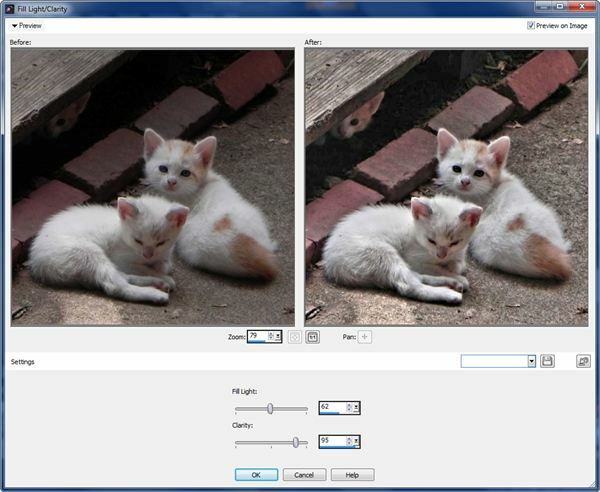 With version X1, the software became known as PaintShop Pro Photo. 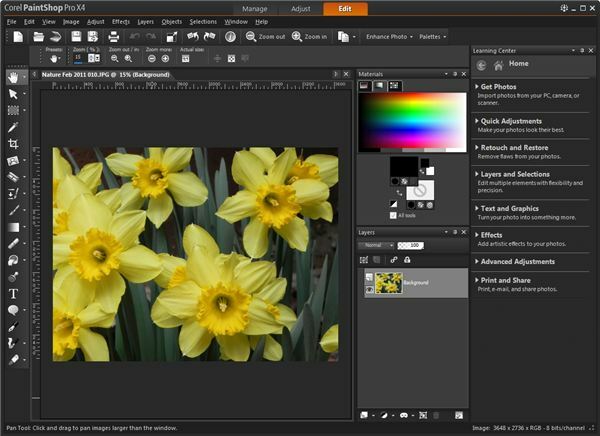 The name was switched up again to PaintShop Photo Pro with the release of X3. Try saying that three times real fast. Despite the rebranding attempts, most long-time users continued to refer to the software as just PaintShop Pro – even though it’s been five years since the initial rebranding attempts. 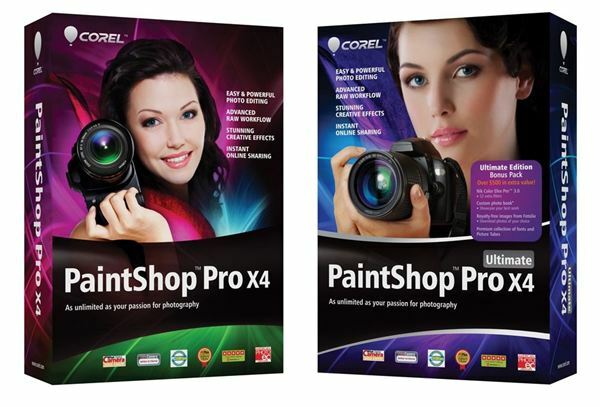 It looks like Corel has finally decided that the “new" names are just too much of a mouthful, so the “Photo" portion has been dropped completely and X4 has been re-rebranded again back to the more familiar PaintShop Pro. This may seem like a small thing to note, but it is definitely one that makes me happy. Before digging deeper into the rest of the updates, here's a quick overview of the major new additions in PaintShop Pro X4. Dual Monitor Support – If you’re fortunate enough to have two monitors, you can now manage and organize your photos on one screen while editing them on another. Over 75 Performance Enhancements – Along with GPU optimizations, X4 has a smaller footprint and faster real-time processing. Revamped Workspaces – The software interface has been redesigned with three workspace tabs: Manage, Adjust and Edit. Fill Light and Clarity Effect – With this filter, you can brighten darker areas of a photo without affecting other elements of the image. 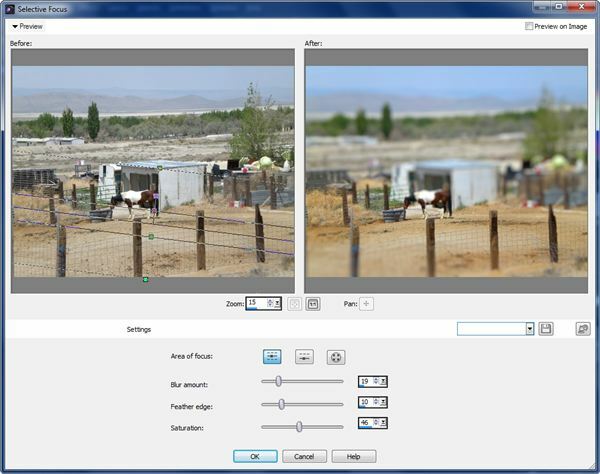 Selective Focus – This tool lets you create a tilt-shift, or miniaturization, effect. Photo Blend – Pick the best parts of several photos and combine to create the perfect image. 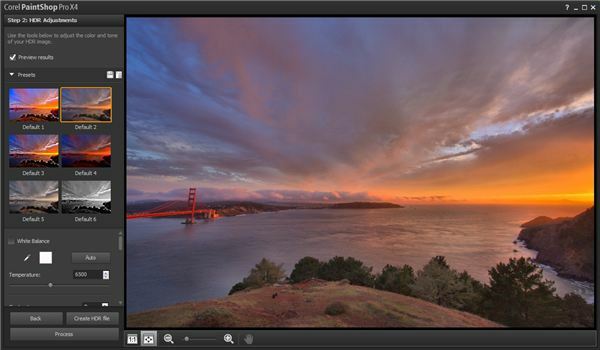 New HDR Tools – Supports auto-bracketing batch merging. Now, let's review some of these features in a little more detail (with a lot more screenshots). At first glance, it may look like there are some brand new workspaces in X4, but the real changes are in the interface design, the easier way to move from one workspace to another and, of course, the resulting improved workflow. The new interface design features three tabs: Manage, Adjust and Edit. The Manage Workspace is really just the Organizer that was introduced in version X3, while the Adjust Workspace is an updated version of the Express Lab. The Edit tab is the traditional workspace area that has been the staple of the PaintShop Pro software for ages. One important thing to note – you can still do almost everything within the Edit Workspace, so there’s no reason to hop from one workspace to another if you’re comfortable with the “old" way of doing things. However, if you’re performing very specific tasks or processing batch edits, you may find it quicker to work in one of the other two spaces. Also, the Manage (or Organizer) functions are now available in every workspace. This should be a welcome relief to X3 users who hated moving back and forth between the Organizer and Edit work areas just to search for a particular photo. While I really do like this new streamlined design, I find that moving from one workspace to another sometimes results in a bit of choppiness during the transition. However, that choppiness only lasts for a split second – and the transition is much faster than it was between workspaces in X3. As mentioned before, the Manage Workspace is really the same as the Organizer that was introduced in PaintShop Pro X3. The Organizer caused a bit of controversy within the PaintShop Pro community, since many felt that its introduction actually diminished their productivity. In X3, Corel tried to separate out many features that were considered to be predominantly related to management and organization and only include them in the Organizer Workspace. In theory, this may have sounded like a good idea, but veteran users – who wanted to be able to do everything in the same workspace – disagreed. With X4, all parties should be a little happier. You can still take advantage of the separate Manage Workspace to catalog and organize your image collection, but now these organizer features are available in other workspaces as well. If you are a regular user of the Express Lab feature, and are worried because you no longer see that option in PaintShop Pro X4, don’t panic yet. 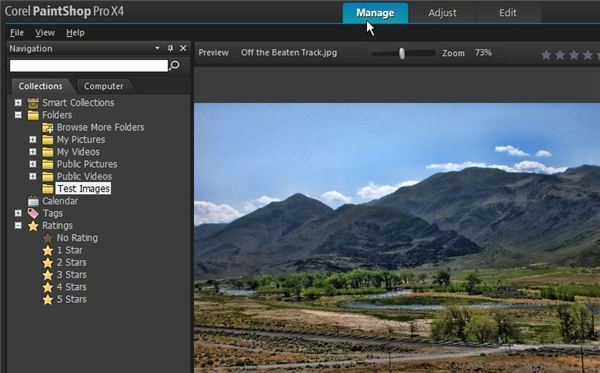 The Adjust Workspace is really just a revamped version of the Express Lab that includes all of the old tools – such as Smart Photo Fix – along with several more. To be honest, I never really used the Express Lab that often in previous versions of the software, especially since I could still perform all of the same functions in the traditional work area. In particular, I hated the way the Express Lab opened in a new window in X3. However, with this new integrated approach, I am finding that I quite like working in the Adjust Workspace. It’s like finding new use for a previously discarded tool. I also like the fact that the new Fill Light/Clarity filter is one of the additional tools now included in this workspace. I do wish there was a way to change the view so that I could see Before and After panes on the same image – at least, if there is a way to do so, I haven’t found it yet. Now, here’s the traditional work area that most people will spend the majority of their time in – well, at the very least, it’s where I do most of my work. For the most part, little has changed about the Edit Workspace except for some cosmetic modifications to icons and menu items. Oh, and as I mentioned before, the organizational tools that were removed from this work area in X3 are now back. I certainly appreciate that. There is one quirky thing about this space – and it could be that I just haven’t found the proper setting to correct it yet. I generally keep my Materials and Layers palettes open at all times, but I like to make the pane that houses them as narrow as possible so I still have plenty of screen space to devote to the image on which I’m working. I absolutely love the new Fill Light/Clarity filter. If you’ve ever taken a photo with shadows obscuring some key portion of the image, I think you’ll love this tool, too. The image above shows a great example of how useful this filter is. The Before preview is a photo my mother took of three kittens on her front walkway. Because of the shadows, it’s almost impossible to see the tiny third kitten poking his head out from under the porch – and really, I think that’s the best part of the photo! If you try to use a basic brightening tool, the light would wash out the rest of the image when all we really want to do is brighten the shadow that’s obscuring that little kitten head. 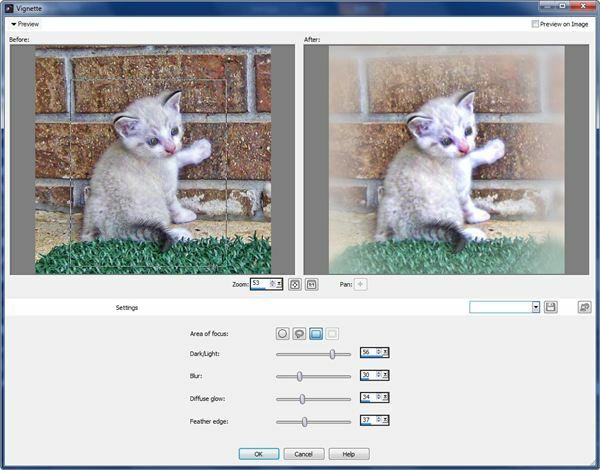 With the Fill Light/Clarity filter, it only takes a few seconds to edit the photo so that the third kitten is more visible. What a difference! In PaintShop Pro X4, the HDR tools have seen a complete makeover, making it easier than ever to apply this extremely popular effect and create some amazing images. 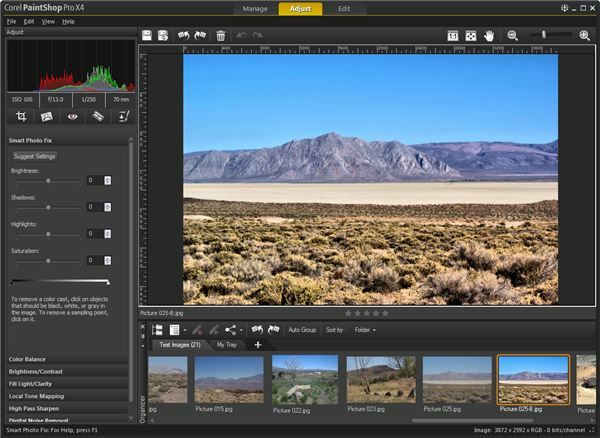 With the Exposure Merge feature, you can pick and choose several photos taken with different exposure settings, combine them all and save the result in an editable HDR file. After that, you can fine tune the image to create some truly stunning results. 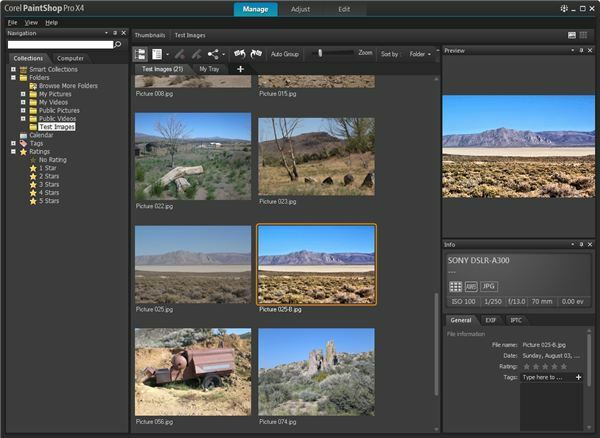 There’s also a Batch Merge tool that takes advantage of auto-bracketing capabilities to process multiple HDR files. 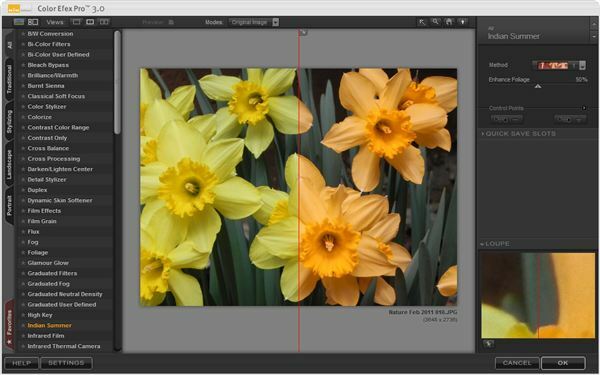 When using this feature, you can still choose to save the resulting images as HDR files and further edit them with the Exposure Merge tool. 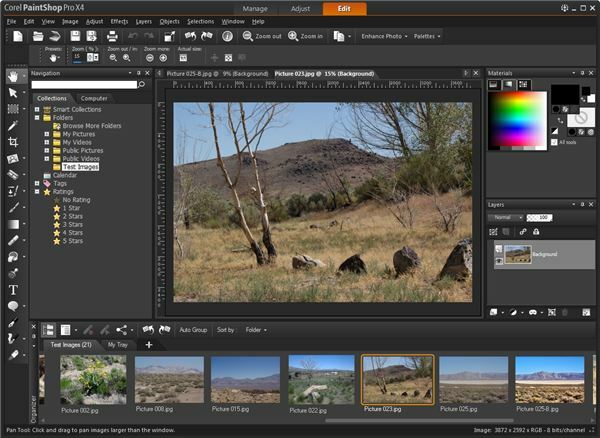 The Photo Blend utility allows you to pick and choose specific elements from a set of photographs of the same scene and combine them in a way to create a more “perfect" shot. To use this feature, you do need to make sure that the same camera settings are used for all of the photos in the group, and that each shot is taken with a steady rest (preferably from a tripod). The obvious application for this feature is taking group photos. After taking several successive shots, you’ll more than likely find that Person A’s eyes are closed in one photo, Person B isn’t smiling in another, Person C is distracted in yet another… the list goes on. With Photo Blend, you can quickly choose the best parts of each image to pull together in one photo. You can also use this tool to create some more artistic images. For example, you can keep the camera settings and position fixed, and take several photos of a person in various poses or locations throughout the scene. Afterwards, you can blend the photos together and end up with some awesome effects. When I saw Vignette listed as a new effect in X4, my first reaction was, “Is that really new?" I’m so used to seeing this effect as a standard feature in other photo editing programs that I didn’t even realize it wasn’t a built-in tool for previous versions of PaintShop Pro. Plus, I have several plugins that include vignette capabilities, so I guess I never really dug around looking for another in the Effect Browser. In any case, X4 does include a new Vignette effect that is very simple to apply but still has a lot of customizable options. You can even choose to create a freeform shape as the focal point for the vignette. After playing around with this feature for a while, I do agree that it is a nice addition, but I’ll probably still turn to one of my plugins when I want to create an effect of this type. Now, this is a neat new effect! Do be warned though – you’ll probably have to experiment with this feature a lot to figure out all its capabilities and how to get the most out of it. But, that’s half the fun, right? One of the primary uses of the Selective Focus tool is to create a miniaturization effect. 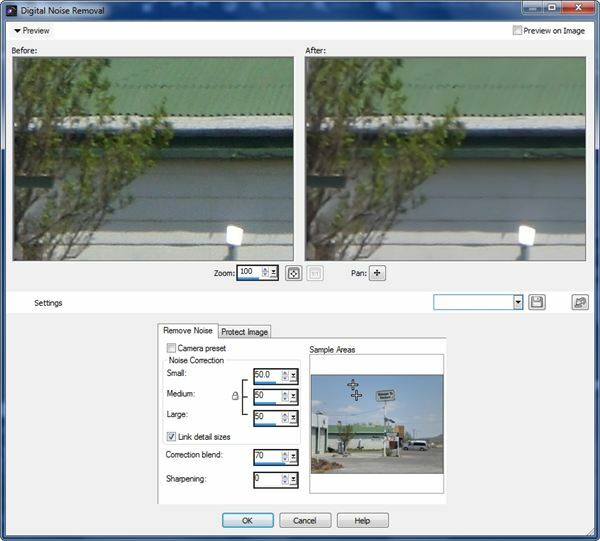 Basically, this means the utility can take a digital photo of a “real-looking" scene and transform it into an image that looks like a model or a toy-like miniature world. More generally, Selective Focus mimics using a tilt-shift lens, so it definitely has tons of other potential applications as well. It can also be used to come up with more creative depth of field effects. Plus, experimenting with this feature is just plain fun. The last couple of versions of PaintShop Pro included quite a few major additions, but many users still complained about problems related to speed and performance. With the release of X4, it’s clear that Corel has been listening, and a large portion of the enhancements in this version focus on these very issues. Several of these updates, including GPU optimizations, are noticeable right off the bat, and the smaller footprint allows for a faster installation of the software as well as a quicker load time. Of course, if you have a lot of plug-ins and additional creative content (like extra picture tubes, shapes, etc. ), you’re still going to experience a longer load time. A nice byproduct of these performance enhancements is that more effects – such as Noise Reduction and Tone Mapping – are now “real-time." That is, you can invoke these effects and see how the image changes as you make adjustments, making it faster and easier to get the look you want in your photos. How much faster? Well, that’s going to depend on your computer specs, but it’s definitely faster than it was in X3. Like so many other software applications nowadays, there’s more than one edition of PaintShop Pro X4. Pro Version – This is the standard edition that includes all of the new features. The suggested retail price is $79.99 for new users and with an upgrade price of $59.99 if you already own version X2 or higher. The full price of the Ultimate Edition is $99.99 and an upgrade is available for $79.99. Photo and Video Bundle – This package includes the Ultimate Editions of both PaintShop Pro X4 and VideoStudio Pro X4. The full price of this bundle is $149.00 and an upgrade is available for $119.99. If you’re also in the market for video software, the Photo and Video Bundle is, by far, the best value. On the other hand, if you’re only interested in the photo editing application, it’s definitely worth the extra $20 to grab the Ultimate Edition for the Color Efex filters alone. Everything else is just more added bonus. 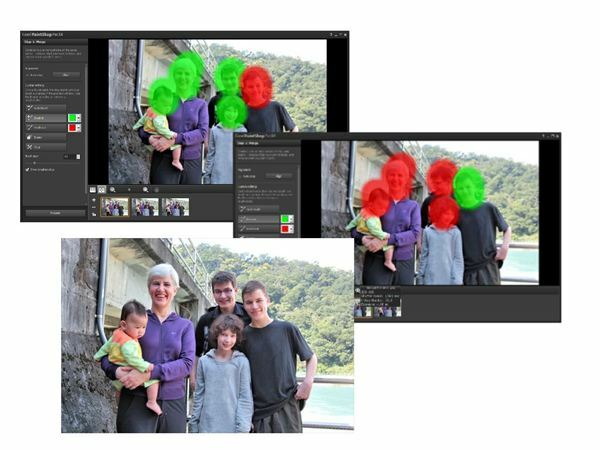 Even if you are among the group that wasn’t very happy with the X3 version of PaintShop Pro, I think you’re going to be quite pleased with X4. It’s very clear that Corel has been carefully listening to user feedback and many of the changes in X4 are direct responses to customer requests. I personally like X3, and it generally takes me a bit of time to migrate over to a new version of a product – especially when that new release includes a pretty substantial interface design, like X4 does. However, I already find myself using X4 as my standard photo editing application, and I’ll probably be uninstalling X3 quite soon. *Please note - the author received 'evaluation copy of PaintShop Pro X4' from a company other than Bright Hub in order to develop the content contained within this article or review.